Few organizations have truly harnessed the power of simple, yet powerful methods for acknowledging donors and event sponsors. Be aware, however, that by “acknowledgement,” I am not referring to just the “thank you” note for a contribution. I am referring to donor engagement to lead a donor from the simple beginnings of allowing a car wash to take place on his or her property to large cash gifts to support the annual budget. It is not overly time-consuming or difficult to do. An example from my past is the best way to describe how simple it can be. When I began working with a social service organization that provided medical and psychological services to sexually abused children, I discovered an annual donor who had been contributing $5,000 each December for several years. I surmised that her financial adviser encouraged her to make charitable contributions at the end of the year for tax benefits and our organization had somehow made it onto her annual list. As far as I could tell, each year, she received the usual acknowledgement form letter signed by the Executive Director and containing the standard charitable contribution disclosure statement. Beyond that, it appeared that no one had ever made contact with her. After sending the standard letter for her annual gift that December, I contacted her by telephone in January and asked if she had ever been to our facility. She had not so I offered her a personal tour to meet our staff and learn what her generosity was supporting each year. In February, she toured the center after which I sent a hand-written note thanking her for taking the time to visit. In July, I removed her name from the newsletter bulk mail list and, instead, mailed the quarterly newsletter first-class with a note expressing our continued appreciation of her support. December arrived, as did the donor’s annual check…for $8,000! Taking a grand total of less than three hours (including the tour) out of the year resulted in a 60% increase in her annual gift. Rather than the usual form letter, I wrote a special acknowledgement letter for the Executive Director’s signature specifically mentioning how her increased gift could change children’s lives. The next July, I again deleted her name from the bulk mail list and sent her newsletter by first-class mail. This time, I recruited one of the center’s shuttle bus drivers to write a brief note explaining her close relationship with the children that she transported from school to after-school therapy sessions to help overcome their abuse. The driver explained how she witnessed the children’s health, self-esteem, and relationships improve over time and thanked the donor for the personal role she played in the positive change in these young victims. Again, December came, but this time with a check for $10,000. I (and the bus driver) had now invested only about four to five hours over two years to double an annual donation that had been at a consistent, lower amount for years. Only four to five hours to engage a donor who now felt truly, personally responsible for the center’s success and the lives that it changed. While your organization may be a long way from the horror of child sexual abuse, it is important not to focus on your products or services, but how you are changing lives. An arts organization is not about painting. It is about self-discovery, expressing oneself, and maybe even healing. Your shelter is not about a roof and a bed. It is about physical safety and comfort, overcoming addiction, and job training for self-sufficiency. Your youth sports league is not about a game. It is about promoting health and physical fitness in a chronically obese society. It is about building confidence, self-esteem, cooperation, and discipline in children. It is about providing opportunities for at-risk youth. Find the success stories within your organization to help your donors understand their impact on your community. Has artistic expression provided physical rehabilitation to an accident survivor? Has a job-training program allowed a single parent to acquire an apartment for the family? Has a young athlete with a reputation for trouble found a new outlet through sports for his or her restless energy? Telephoning donors prior to events to tell them that you hope to see them there. 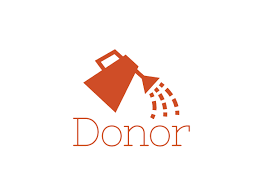 Assign volunteers to seek out donors at events and introduce them to others. Offer tours of your facility and let donors speak with other staff or, if appropriate, constituents. Asking players to write thank you notes to donors not just during the regular season, but during the off-season to stay on the donors’ minds. Calling donors who missed a game the next day to let them know how the team performed. It is important that all of your board members understand your organization’s impact on the community, identify positive results, and bring those successes to the attention of your supporters. Engaging donors in this manner will help your organization grow a more stable, consistent, community-based program for years to come. Need training to better serve your organization? Register for the Nonprofit Management Academy.